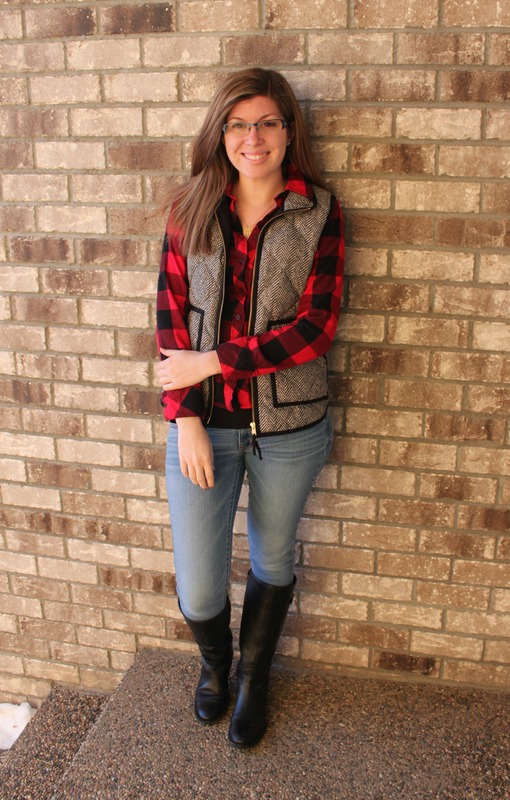 One of our favorite winter go to’s is a puffer vest. A puffer vest is a great way to not only keep you warm on those cold winter days but also adds a nice little flare to your outfit! We have styled the puffer vest in 6 different ways to help give you inspiration to style yours. 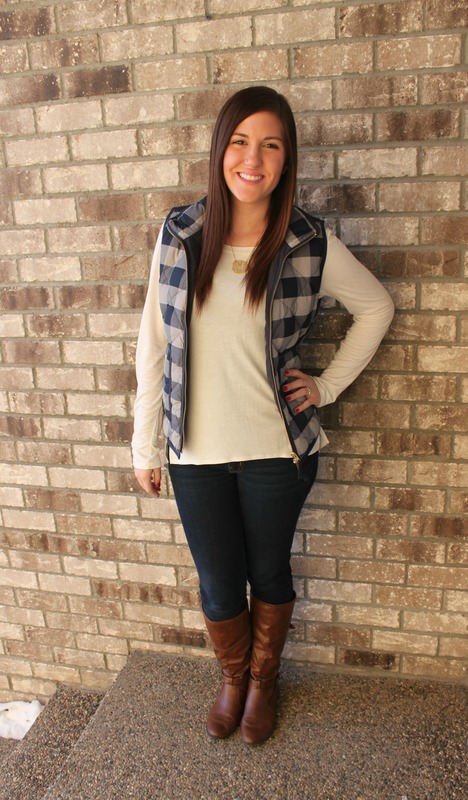 Since the herringbone vest is so popular we decided to do two different looks with it. Look #1 Michelle paired hers with a buffalo check shirt. 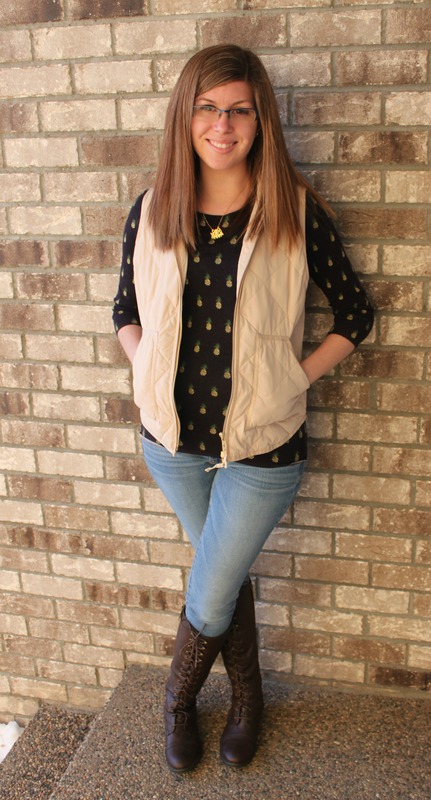 This vest looks great with a lot of different patterns besides just buffalo check you can also pair it with polka a dots and stripes to name a few. Look #2 Rachel dressed hers vest up with a coral J Crew button up and some pearls. Look #3 With this vest being a very neutral color Michelle decided to add a fun lightweight sweat underneath. 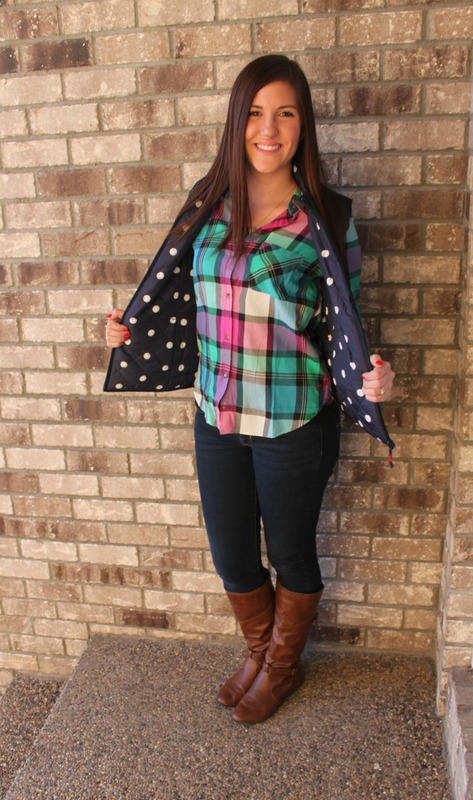 Look #4 Rachel brightened up her navy vest with a fun colored check shirt. The best part about this vest is that it is 100% reversible. The other side is fun with a navy and white polk-a-dot pattern. 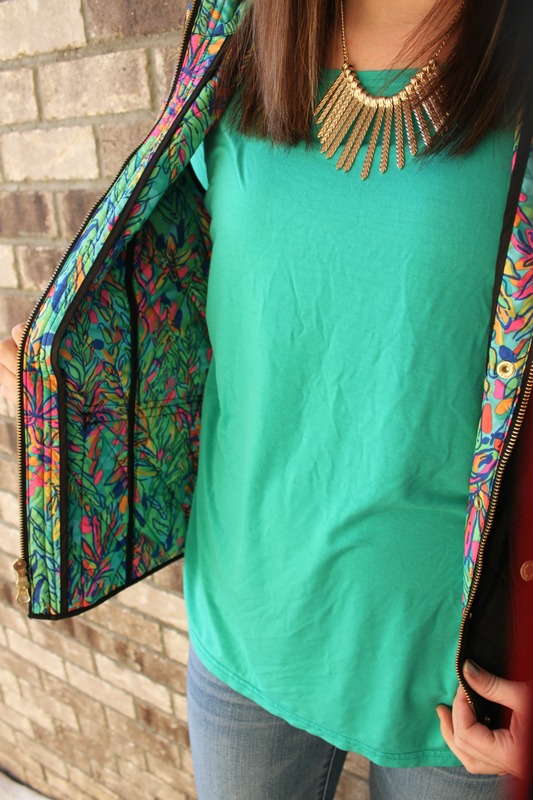 Look #5 First off we love that Lilly has puffer vest with a pop of their signature Lilly pattern on the inside. 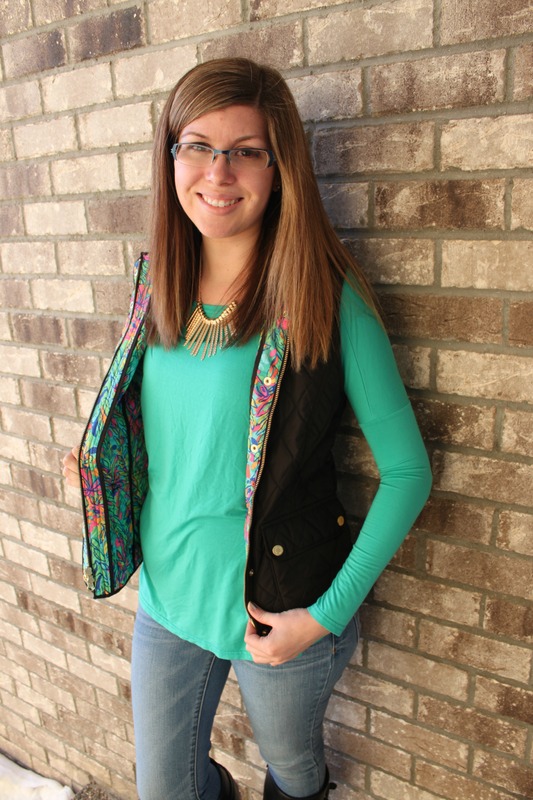 This vest looks great with paired with a bright colored shirt. We think it would also look good with a Lilly pattern shirt as well. Look #6 With a louder pattern vest Rachel wanted to keep her shirt more simple with just a cream color. She also added her signature gold monogram which is always a nice touch with a vest. As you can see from our 6 looks that we put together when we wear puffer vests we almost always wear statement necklaces, monograms, and or boots to complete our outfits. We can’t wait to show you how you can transition your puffer vest for the upcoming spring season! Be on the lookout for that blog post in about a month or so. 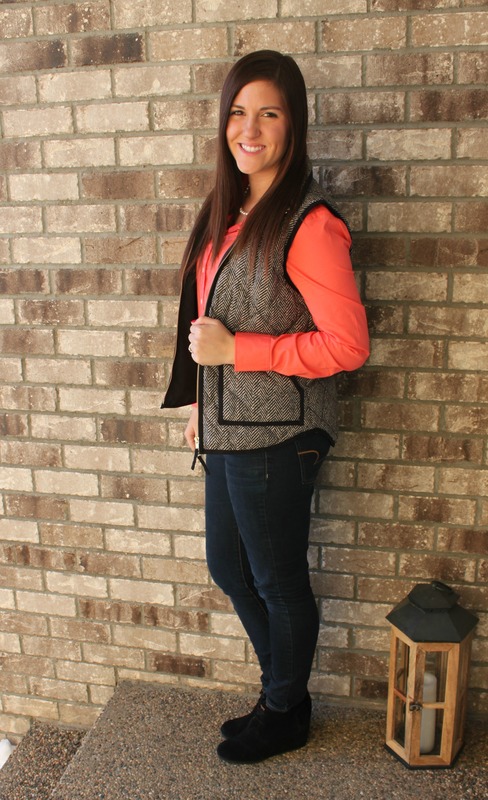 In the mean time, leave us a comment below with your favorite way to style your puffer vest in the winter.